Photos and recap will be available shortly. Thank you CdM residents for coming and spending the evening with us. We hope you enjoyed the venue, visiting with your friends, neighbors and the representatives from the city and various local civic groups. The Corona del Mar Residents Association (CdMRA) was created in 1987 to provide a unified voice on issues which impact all residential neighborhoods located in Zip Code 92625 (over 6,300 households). CdMRA utilizes a variety of communication tools, educational workshops and outreach programs to accomplish that goal. We are NOT a "homeowners' association." We ARE a "resident advocacy" association, working diligently to protect, preserve and improve our residential community's quality of life. Your comments and suggestions are a valuable resource to CdMRA. We welcome feedback on our member services and suggestions on topics or issues that we should investigate on behalf of our residents. Send us an email today. And don't foget to LIKE us on Facebook and watch our topical videos on YouTube. Your membership is now considered a tax-deductible donation, as are any general donations you wish to make to the extent the law allows. This is good news for both CdMRA and for our members and donors, and we hope you will take advantage of this new tax-deductible benefit. Donations of $20 cover your membership dues for the entire calendar year (January 1-December 31), and are payable each January 1. Your membership entitles you to CdMRA's Members-Only Newsletters and Emails, Member Receptions, admission to the CdM Annual Town meeting, and more. And don't forget . . . your membership dues donation and any contributions you make to CdMRA are tax-deductible to the extent the law allows. Click here to select and complete one of these payment options. Be sure to visit us on FACEBOOK for late breaking news. And watch topical videos on our YouTube channel. Time to Stop Solicitors - Renew your DO NOT SOLICIT request here. April 10, 6:00 pm: Speak Up Newport @ Civic Center Community Room - Topic "Trash Police"
Sherman Library & Gardens Event Calendar, click here. Grant Howald Park has been serving the community since 1954. As the most visited park in Newport Beach, it is important to make sure that this park continues to serve the community at the highest level. The Grant Howald Park Rehabilitation Project will be focused on upgrading the athletic field for usability throughout the year, replacing the playground equipment to encourage more integrated play and beautifying the Fifth Avenue frontage. For more information about the Grant Howald Park project, be sure to visit the city's special webpage here: NewportBeachca.gov/GrantHowaldPark. For updates and tips on how to prepare, click here. For specific outage information in your specific area, click here. Many residents are finding it difficult to park on residential streets due to the amount of construction occurring in their neighborhoods. Your CdMRA board has been instrumental in advocating for ordinance changes and enforcement to help alleviate some of these construction related impacts. City Council members Brenner, Herdman and Dixon plan to hold community meetings to discuss proposed amendments before they vote on any changes. We will continue to monitor this issue and ensure that you are appropriately noticed of these upcoming outreach meetings being held specifically for resident input on this topic. City of Newport Beach staff and consultants believe the GAIP will expand and intensify operations in areas of JWA that now support light general aviation (which includes private jets, private jet services and more), and will also increase the number of corporate and private jets that depart JWA, resulting in potentially negative impacts on communities surrounding the airport. The city and various civic groups have been working diligently with the Board of Supervisors, JWA personnel, carriers and the FAA to come up with a reasonable solution. Based on these efforts and on community outreach, the City was prepared to support Option 3, the option that provided the best alternative for citizens and would not increase private jet traffic. However, we recently learned that the OC Airport Commission is being asked to recommend Option 1, which includes considerable expansion of the general aviation facilities … good for the airport … but not for the citizens of Newport Beach and surrounding communities who have been advocating for Option 3. We recommend you participate in one or more of the upcoming community Airport meetings and email the OC Board of Supervisors and our city leaders. CdMRA invited Fire Chief Chip Duncan, Asst. Fire Chief Jeff Boyles and the city's newly hired Fire Marshal Kevin Bass to address the CdMRA Board and guests at our February 21 monthly meeting. The hiring of a fully dedicated fire marshal was an important step this year given the state's recent history of devastating wild fires. CdMRA advocated for reinstating this position with both the fire department and city council, specifically because of our Buck Gully wildland interface with homes here in Corona del Mar. You, too, will have an opportunity to meet Fire Marshal Bass at this year's CdM Annual Town Meeting on April 17 at Sherman Library & Gardens. Click here to read the summary of our Town Hall Meeting on Crime Prevention. This month, NBPD is featuring cell-phone use while driving. Well worth the watch. Short YouTube video is here. NBPD App: Read about the Police Department's new app which has useful and timely information and alerts. Click here. NBPD warns that coyotes are capable of hunting unattended small pets, including cats and dogs, and residents who have lost pets to these predators are often unaware of coyote activity in their area. For more information and tips for keeping family members and pets safe, please read NBPD's bulletin here. *** Buck Gully - A History Lesson . . . If you are interested in a little history lesson about the deterioration and restoration of our Buck Gully, please read Amy Senk's article which was recently published in StuNews-Newport. It is quite an informative piece and has several great photos as well. Besides, it's always great to see Amy in print from time to time. We all miss her daily reporting of all things Corona del Mar! *** Interested in Parking and Walkability in CdM? Read on . . . The BID Parking Sub-committee and CdMRA representatives are working together to consider options for transportation and parking in the CdM commercial area. For more information and updates on this project, please visit the city's website here. We just wanted to remind you about this fun event in the CdM Village each Thursday evening. It’s a great way to get to know and support our local shops. Stroll through the Village this week and find out what it’s all about. Information about this fun, family event can be found here. A message from CdMRA’s Reforestation Chair Ron Yeo: Drought, wind, insects and disease are killing an unprecedented number of Southern California’s urban trees. Many of the CdM street trees are over 70 years old and are reaching the end of their life span. So take care of your street tree and keep it as healthy as possible. Dan Sereno, the city’s Tree and Park Superintendent, adds that deep watering your street trees once a week is very important and is required by the municipal code. This is especially important if you have installed synthetic turf or drought tolerant plants which significantly limits tree irrigation. Be sure to visit our new Facebook page for timely news and updates. And be sure to LIKE us while you're there! Visit CdMRA's new YouTube Channel. We are subscribing to several video channels that may interest you: Planning Commission Meeting Videos (posted by SPON) and videos about CdM Village created by CdM's own Ron Yeo. Ron is a CdMRA member, Chair of CdMRA's Reforestation Committee, an architect by trade and has an additional interest in landscape. Some of his local works include Muth Center, Back Bay Science Center and numerous park structures. Ron has spearheaded many efforts over the years that create microenvironments in our community, like pocket parks and vista points, that we can all enjoy. Thank you Ron! Release: June 27, 2017: A group of animal lovers has formed a new non-profit, Friends of Newport Beach Animal Shelter, or FONBAS, with the goal of raising funds for the shelter which is operated by the City of Newport Beach. "We are not here as a substitute for City support," according to Tim Stoaks, president of the board. "Like the Friends of Oasis and Friends of the Library, our goal is to build on the excellent work the City does and help move the needle from very good to great for the animals at the shelter. Whether it's additional amenities or more extensive medical treatment we want to be sure the funds are there to help each animal put its best paw forward." Currently, the City has a three-year lease on the shelter property which is in Santa Ana Heights. "Our long term goal, if the Council agrees, is to raise the funds to purchase that or another building so we know that there will always be a shelter," says Evelyn Hart who led the campaign to build the new Oasis Senior Center. In addition to Mr. Stoaks and Mrs. Hart, founding board members include Jean Watt, Walt Howald, Sandy Meadows and Nancy Gardner." Our mission is to help every animal that comes to the shelter find a happy home, " states Stoaks. The city is collecting community input on possible revisions to its Short-Term rental permitting process. Two outreach meetings have already been held, and concerns are being addressed through increased code enforcement, identifying locations which are not permitted, and ultimately city ordinance changes. Information on short-term rentals can be found on the city's website here. An interactive map showing PERMITTED short-term rentals through Newport Beach, or by specific address, is available here. Submit service requests, communicate with community leaders, pay your bills, stay up to date with City events and news all from one convenient app. To get started, click here. Renew your request to prevent solicitors and handbills on your property. This must be done each year on or after January 1st. The Registry is available here. Code Enforcement officers are reaching out to residents and Homeowner Association Boards in the hopes of meeting on a quarterly basis to highlight and identify problem areas that need addressing. CdMRA intends to include Code Enforcement officials at our Board meetings on a regular basis. We encourage those of you in Homeowner Associations to talk to your Boards about inviting them to speak as well. Every step we take in addressing these issues improves the quality and safety of our community. For more information about Code Enforcement, including how to contact them, click here. Here's a very interesting article from former City Manager Dave Kiff which talks about the impact of texting while not only driving but while waiting at stop lights. It is having a tremendous impact on our major investment on signal technology and modernization. Read on . . .
" . . . We’re doing something that threatens to completely wreck the millions that have gone into signal management. Can anyone guess what it is? Yep, it’s sitting there at the red light checking texts and e-mails. This is actually illegal, as you’re not allowed to use a cell phone (unless hands free) while in any active lane of traffic – even while waiting at a red light. Experts are estimating that we’re losing 10-20% of our signal efficiency by folks not looking up and noticing that the signal has turned, or that the person ahead of them has moved. What can we do? More citations, better compliance, I guess. Self-driving cars eventually. But please know that every time someone’s pausing to look down and delaying the movement, millions of our tax dollars might be going out the window." Community Preparedness . . . Are You Prepared? Take a few minutes with your family to discuss and develop your action plan in the event of a major disruption or emergency. With kids in school and parents working, it is important to know who to contact and where to go. How easy? Easy as 1-2-3. On their website, you will find information on how to create your family plan as well as learn about training which is free to Newport Beach residents. Don't delay. Make your family plan today. 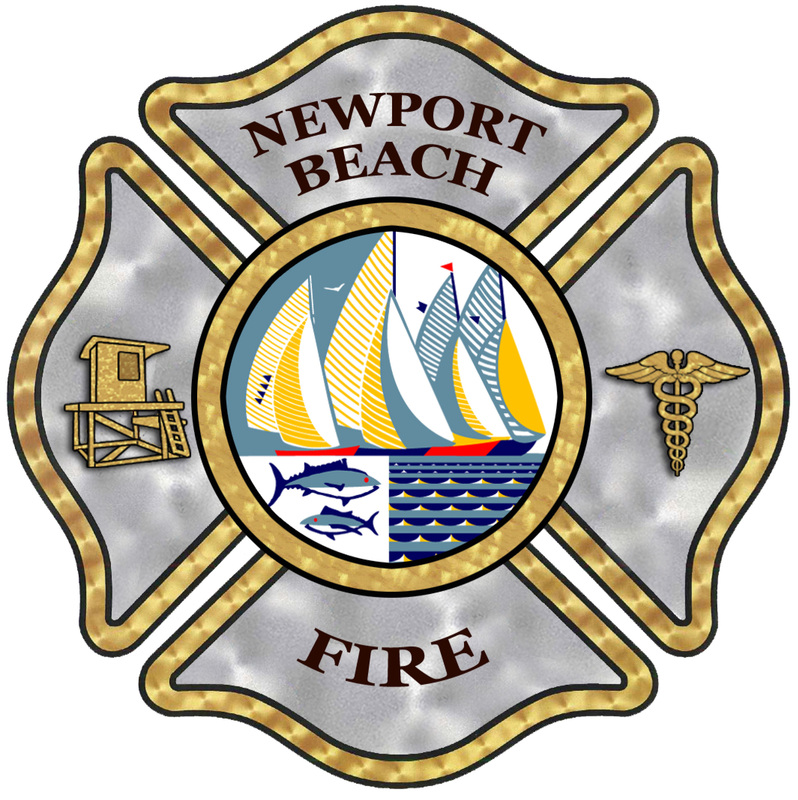 Visit the Newport Beach Police Depatment website for news and information about our important public safety personnel. NBPD recently implemented a great new map which plots out the Calls for Service for the last seven days by call type throughout the city. It’s a great and visual way to stay informed about crimes, arrests, and other police-related activities. Calls for Service are updated every 30 minutes in the interactive map which can be found here. If you would like to receive information about a variety of City services and events, simply register for the City's News Service. Meetings, Events, Reports, Sports Field Conditions and more . . . You chose the items you want to see. Stay informed on topics that matter to you. To register, click here. One-stop shopping for building, planning, and code enforcement services. Click here. Newport Beach Municipal Code 10.28.040 limits construction hours and noise. If you need to report a violation of either the hours or noise regulations, please contact Code Enforcement at the numbers above. Additional information can be found on the city's website here. Weekdays - construction allowed 7:00 a.m. - 6:30 p.m.
Saturdays - construction allowed 8:00 a.m. - 6:00 p.m. Exceptions: Emergency building construction authorized by the Building Director; emergency repair to City facilities; or maintenance, construction, or repair authorized by the City Manager or Department Director. Call this number to report any graffiti you find in or around CdM. Traffic Signal Problem: Traffic signal outages or problems can be reported by email. Go to the City's website (click here) or call 949.644.3348 or 949.644.3324. Noise Abatement Code: We get many questions about hours of operation for lawn, gardening and construction equipment. Noise of that nature is covered by the City's Municipal Code. For approved hours of operation, click here. Corona del Mar Residents Assn (CdMRA) is a 501(c)(3) public charity (ID #83-0928052). Contributions to CdMRA are tax-deductible to the extent the law allows. Copyright 2019 Corona del Mar Residents Association. All Rights Reserved. No information may be duplicated without permission from Corona del Mar Residents Association.